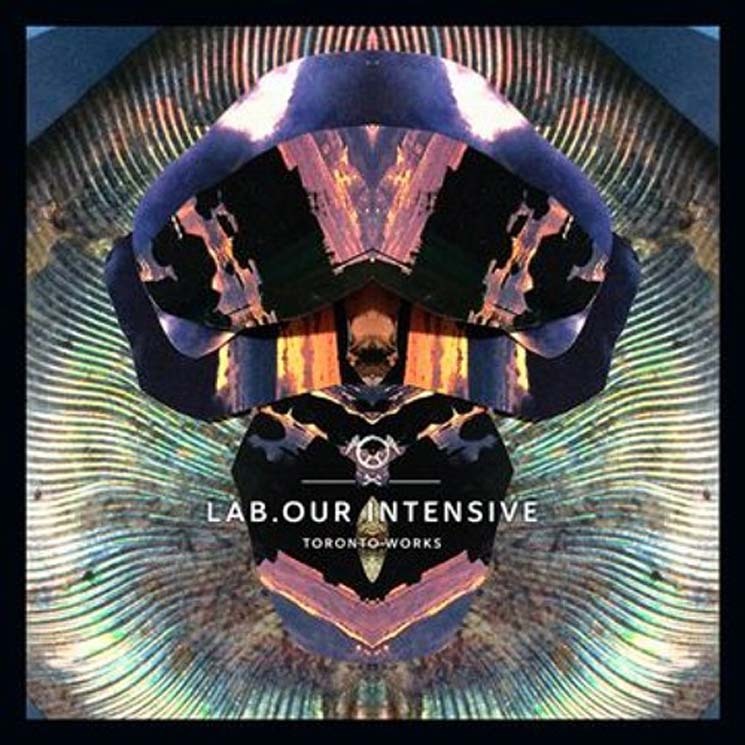 Toronto deep house and techno imprint Lab.our Music is five years into the game, and they're celebrating with a nine-track compilation rounding up a fresh stock of locals for a double LP. Label founders Stuart Li and Jason Ulrich are right at the top of the tracklist, but the real focus is on the more recent crop of talent that's been nurtured in the city's dance scenes. The more familiar names in the set have their moments, but their contributions feel more functional and one-dimensional overall. An opener from Li's Basic Soul Unit provides a lean and nimble techno warm up with a touch of acidity, while Ulrich's J-UL provides a more flamboyant romp on "Caye," full of rubbery melodies that twirl off in tight curlicues after the two-minute mark. Each track follows a natural path of progression and they're both tightly contained pieces, but it's refreshing to hear the Lab.our braintrust laying down the foundation for the new guard, and the prospect of one of those new faces gripping their stems and really opening them up is wholly welcome, as some of the comp's best moments come from a set of new talent that expertly lubricates the divide between functional club music and heady experimental turns. Breaking the nine-minute mark, R's "Hoof and Claw" is the longest entry in the collection by minutes, and it earns the extra time with an exciting flow of creativity, introducing new elements and sonic flourishes every few bars, all while charting a sweaty techno arc, riding a monolithic kick into a more social bustle while a quivering synth meanders in the background, the sounds of alien pleasure craft whipping through the frame all throughout. Aberdeen's "Fade" brings a triumphant dose of throbbing nocturnal activity as he marks his return after debuting with the label on a 2016 twelve-inch, and the icy melody Lab.our regular Maxwell Church erects in the raw techno purview of "Fencepost" steals the scene, always threatening to slip off into something else entirely. At the same time, fans that patiently waited out the three-year break between Pursuit Grooves' Mythico and this year's Felt Armour will be excited to find even more new material from the producer here, but her Lab.our contribution is less abstruse and outwardly stylish — a deep and understated rhythm piece that simmers at a staid and measured manner over a foggy synth line and a funky bass track like an instrumental hip-hop interlude given more space to breathe. The hazy looseness provides a necessary palate cleanse for the blippy circuitry of Adam Marshall's set closing "Bliss Roller," but otherwise feels out of place, even amongst entries like the submersed catwalk pump of Walter's "Substance" or the deep listening exercise of the phaser riding metropolitan action on Smoke's "Downed."